How much blood can you stand to loose? Thank you Catherine and George for your GREAT question!! How much blood you could loose before real trouble? 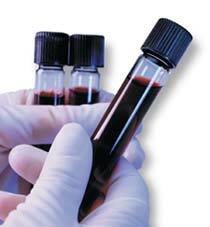 Loss of 10-15% of total blood volume can be endured without needing any clinical intervention. 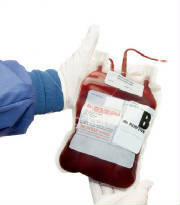 A blood donation typically takes 8-10% of the donor’s blood volume. Class I Hemorrhage - 15% blood loss - typically no change in vital signs. Class II Hemorrhage - 15-30% blood loss - rapid heart beat, start to look pale and feel cool since body is trying to compensate by constricting the vessels - Saline solution may be given. Class III Hemorrhage - 30-40% blood loss - blood pressure drops, heart rate increases, mental status worsens. Blood transfusion is necessary. Class IV Hemorrhage - >40% blood loss - This is the limit - aggressive resuscitation is required to prevent death. The best place for your blood... right where it is!